Small Lymphocytic Lymphoma (SLL) who have received at least 2 prior therapies and they did not work or are no longer working. It is not known if COPIKTRA is safe and effective in children less than 18 years of age. In a clinical trial with people who had CLL or SLL and had at least two prior therapies (196 patients) COPIKTRA was compared to ofatumumab. COPIKTRA gave patients more time in remission (16.4 months) compared to ofatumumab, another CLL/SLL therapy (9.1 months). Remission means the amount of time without their disease getting worse, which is also called progression-free survival (PFS). The trial measured PFS with COPIKTRA and ofatumumab. 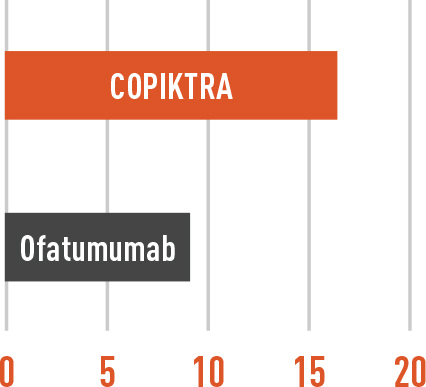 Median* PFS was 16.4 months for COPIKTRA vs. 9.1 months for ofatumumab. *Median means the middle value, so half of patients would fall above the value and half of patients would fall below the value. The trial measured overall response rate (ORR) in patients. A response means that fewer signs of the disease were observed in blood tests, x-rays, CT scans, or bone marrow tests. ORR was 78% with COPIKTRA compared to 39% with ofatumumab. Chronic Lymphocytic Leukemia (CLL) or Small Lymphocytic Lymphoma (SLL) who have received at least 2 prior therapies and they did not work or are no longer working. What is the most important information I should know about COPIKTRA? Infections. Infections are common during COPIKTRA treatment and can be serious and can lead to death. Tell your healthcare provider right away if you have a fever, chills, or other signs of an infection during treatment with COPIKTRA. Diarrhea or inflammation of your intestine. Diarrhea or inflammation of your intestine (colitis) is common during COPIKTRA treatment and can be serious and can lead to death. Your healthcare provider may prescribe an anti-diarrhea medicine for your diarrhea. Tell your healthcare provider right away if you have any new or worsening diarrhea, stool with mucus or blood, or if you have severe stomach-area (abdominal) pain. Your healthcare provider should prescribe medicine to help your diarrhea and check you at least weekly. If your diarrhea is severe or anti-diarrhea medicines did not work, you may need treatment with a steroid medicine. Your healthcare provider may need to prescribe medicines, including a steroid medicine, to help treat your skin rash or other skin reactions. Inflammation of the lungs. COPIKTRA can cause inflammation of your lungs which can be serious and can lead to death. Tell your healthcare provider right away if you get new or worsening cough or difficulty breathing. Your healthcare provider may do tests to check your lungs if you have breathing problems during treatment with COPIKTRA. Your healthcare provider may treat you with a steroid medicine if you develop inflammation of the lungs that is not due to an infection. If you have any of the above serious side effects during treatment with COPIKTRA, your healthcare provider may stop your treatment for a period of time, change your dose of COPIKTRA, or completely stop your treatment with COPIKTRA. are pregnant or plan to become pregnant. COPIKTRA can harm your unborn baby. Your healthcare provider should do a pregnancy test to see if you are pregnant before you start treatment with COPIKTRA. Females who are able to become pregnant should use effective birth control (contraception) during treatment with COPIKTRA and for at least 1 month after the last dose of COPIKTRA. Talk to your healthcare provider about birth control methods that may be right for you. Tell your healthcare provider right away if you become pregnant or think you are pregnant during treatment with COPIKTRA. Males with female partners who are able to become pregnant should use effective birth control (contraception) during treatment with COPIKTRA and for at least 1 month after the last dose of COPIKTRA. are breastfeeding or plan to breastfeed. It is not known if COPIKTRA passes into breast milk. Do not breastfeed during treatment and for at least 1 month after the last dose of COPIKTRA. Tell your healthcare provider about all the medicines you take, including prescription and over-the-counter medicines, vitamins, and herbal supplements. COPIKTRA and certain other medicines may affect each other. Elevated liver enzymes. COPIKTRA may cause abnormalities in liver blood tests. Your healthcare provider should do blood tests during your treatment with COPIKTRA to check for liver problems. Tell your healthcare provider right away if you get any symptoms of liver problems, including yellowing of your skin or the white part of your eyes (jaundice), pain in the abdominal region, bruising or bleeding more easily than normal. Low white blood cell count (neutropenia). Neutropenia is common with COPIKTRA treatment and can sometimes be serious. Your healthcare provider should check your blood counts regularly during treatment with COPIKTRA. Tell your healthcare provider right away if you have a fever or any signs of infection during treatment with COPIKTRA. These are not all the possible side effects of taking COPIKTRA. Talk to your doctor if you experience these or any other symptoms. How should I store COPIKTRA? Store COPIKTRA at room temperature between 68°F to 77°F (20°C to 25°C). Keep COPIKTRA in its original container until you are ready to take your dose. Keep COPIKTRA and all medicines out of the reach of children. or the FDA at MedWatch or at 1-800-FDA-1088. Severe diarrhea. Diarrhea is common during COPIKTRA treatment and can sometimes be severe. Tell your doctor right away if the number of bowel movements you have in a day increases by 4 or more, or if diarrhea is accompanied by abdominal pain. Ask your doctor about medicines you can take to treat your diarrhea.  Copyright © 2019 Verastem Inc. All rights reserved. I hereby give consent to Verastem Oncology, its affiliates, and their agents to send information to me via the contact information I have provided above. I understand that this consent will be in effect until such time as I opt out of communications from Verastem Oncology. By checking this box, I certify that I am 18 years of age or older. If, at any time, you no longer wish to receive communications from Verastem Oncology, you can opt out by calling 1-833-570-2273. You are now leaving COPIKTRA.COM. The website you are about to visit is not owned or controlled by Verastem Oncology. Verastem Oncology is not endorsing any particular group or service and is not responsible for the content of these sites or services.